Dogs can wear muzzles for many different reasons. Whether for the careful socialization of a new rescue dog, general handling or to safely manage aggression, it is important that the dog is happy and secure wearing a muzzle. Dr. Roger Mugford developed the patented Baskerville Ultra Muzzle to provide an optimal muzzle fit for all dogs, including shorter nose breeds such as Boxers. 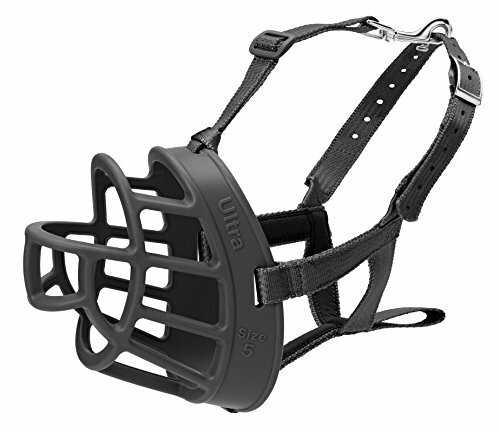 The Ultra Muzzle perfectly combines comfort for the dog and owner peace of mind. If you have any questions about this product by The Company of Animals, contact us by completing and submitting the form below. If you are looking for a specif part number, please include it with your message.